The FHA streamline refinance program helps current FHA homeowners lower their rate and payment without most of the traditional refinance documentation. FHA recently lowered its mortgage insurance premiums by 0.50%. Most borrowers can now drop their interest rate and their monthly mortgage insurance with one refinance transaction. To further entice FHA mortgage holders, FHA offers upfront mortgage insurance premium (upfront MIP) refunds. A portion of the premium paid when the original FHA mortgage closed will be applied to the upfront MIP on the new FHA loan. 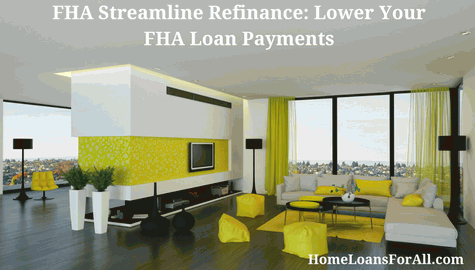 Get Pre Qualified for An FHA Streamline Refinance Today – Click Here. The FHA streamline is available to homeowners who currently have an FHA mortgage. In addition, the borrower must have a good payment history. Borrowers must receive a benefit from refinancing. Lenders will approve an FHA loan when the payment will drop by at least 5%. Current FHA streamline refinance rates are some of the lowest in history. According to loan software company Ellie Mae, FHA rates are about a quarter percent lower than conventional rates. To qualify for an FHA streamline loan, you must show a history of making mortgage payments on time. If you have had some late payments, you are not automatically disqualified. You can rebuild your history going forward, and qualify 12 months after your second most recent late payment. Many homeowners were shocked when FHA announced favorable changes for 2015. Many had just closed their FHA loan at higher MIP levels. The good news is you can use an FHA streamline to lower monthly MIP after as few as six payments. Generally you can expect to pay between $1000 and $5000 in FHA streamline closing costs, but this amount could be higher or lower depending on your loan amount and other factors. You may also need to pay a portion of property taxes and insurance at closing. Often, the lender can give you a slightly higher interest rate and use the excess profit from the loan to pay for some or all of your closing costs. If you have equity in your home, it may be possible to obtain an appraisal and wrap the closing costs into the new loan amount. There are essentially two types of streamline refinances: those with an appraisal and those without. 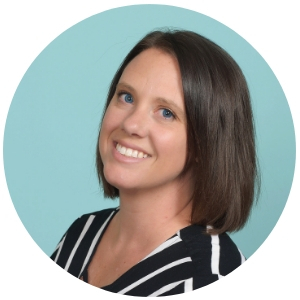 The vast majority of people will opt for the no-appraisal option, simply because the process is quicker and cheaper, and no equity is required. Quite simply, if you don’t think you have equity in your property, it’s best not to obtain an appraisal. On June 11, 2012, FHA reduced its upfront and monthly mortgage insurance (MI) premiums for some borrowers. If your loan was endorsed by FHA on or before May 31, 2009, you are eligible for reduced premiums of .01% upfront MI and .55% monthly MI. There are even mortgage insurance refunds in some cases. The FHA streamline refinance must result in a Net Tangible Benefit (NTB) for the borrower. In other words, the refinance must improve the borrower’s financial position as defined by FHA. Up until January 2015, there was a little-known FHA rule stating you had to close your FHA refinance at the end of the month, or pay a double-interest penalty. That is no longer the case. FHA does not require a credit report. However, most, if not all lenders will require a credit report. A standard “benchmark” minimum credit score for the FHA streamline program is 640. However, some lenders will allow a score of 620 or even 600. If you are denied, shop around. You might find a lender who approves your application. You will need to provide 60 days of bank statements showing enough money to cover any out-of-pocket closing costs. Many condominiums have lost their FHA eligibility over the past few years. However, FHA streamlines are available on condo complexes that were approved at the initial opening of the loan, but have since lost their approval. The exception is when an appraisal is needed for the FHA streamline. In this case, the condo would need to be FHA approved currently. 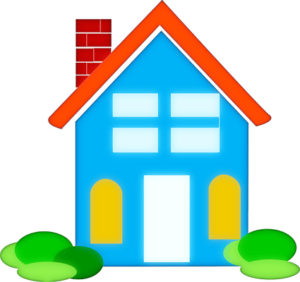 FHA does not require repairs on a home that is in sub-par condition, as long as there is no appraisal required for the transaction.